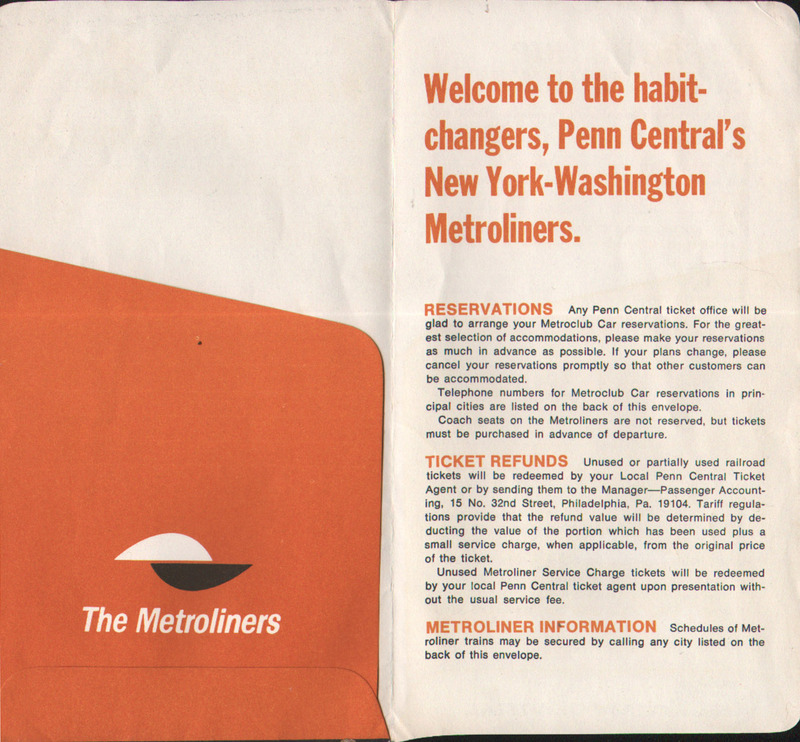 Description An unused Penn Central (PC) Railroad Route of the Metroliners ticket envelope with a black cover. 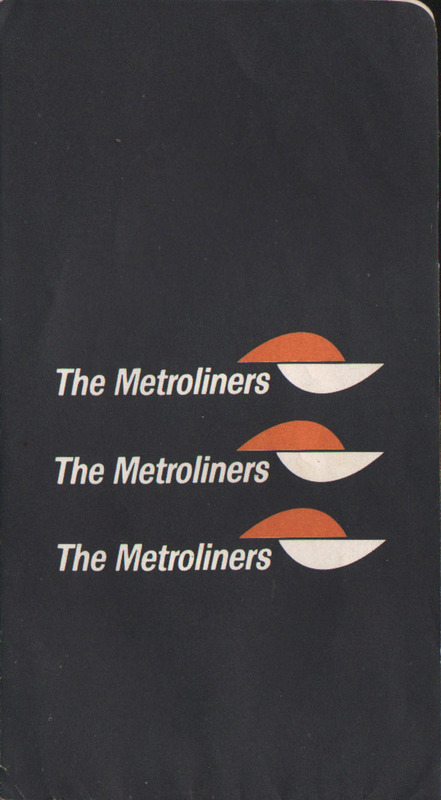 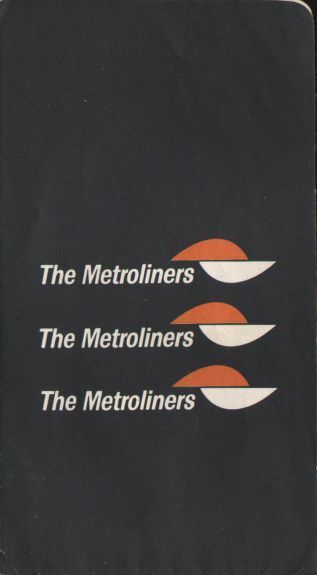 Features the graphic "The Metroliners" Logo as well as useful information about the service. 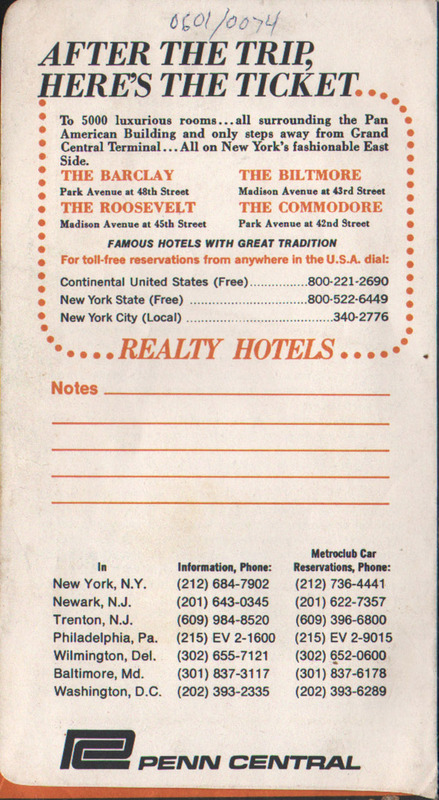 Looks more like an airline ticket envelope than one from a railroad.